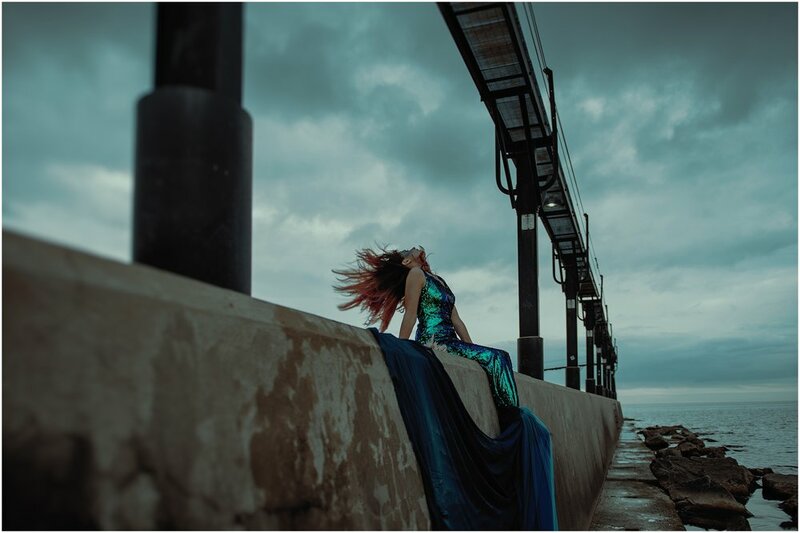 Siren Dreams | Escaping the ordinary — T.O.A.D. For centuries, people having been telling tales of these magical, mythical sea creatures - part human part fish. 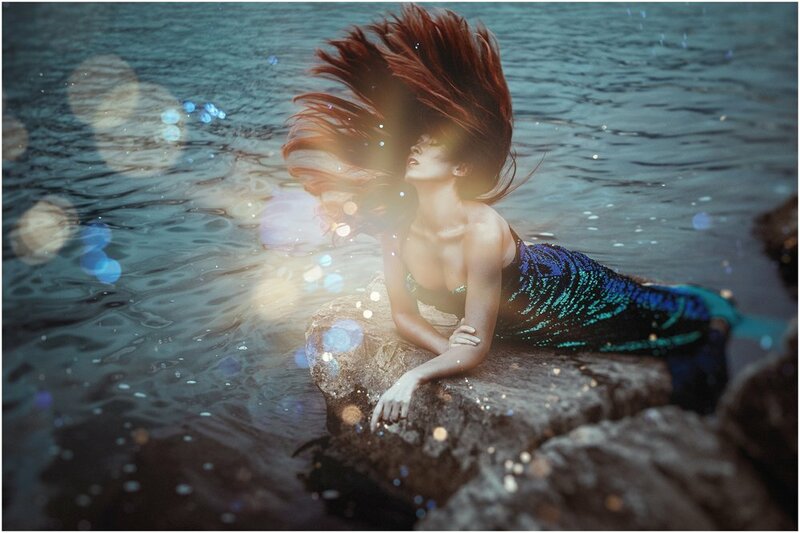 The folklore spans many different civilizations with different versions of what a mermaid is. "As endless as the ocean, as timeless as the tides." 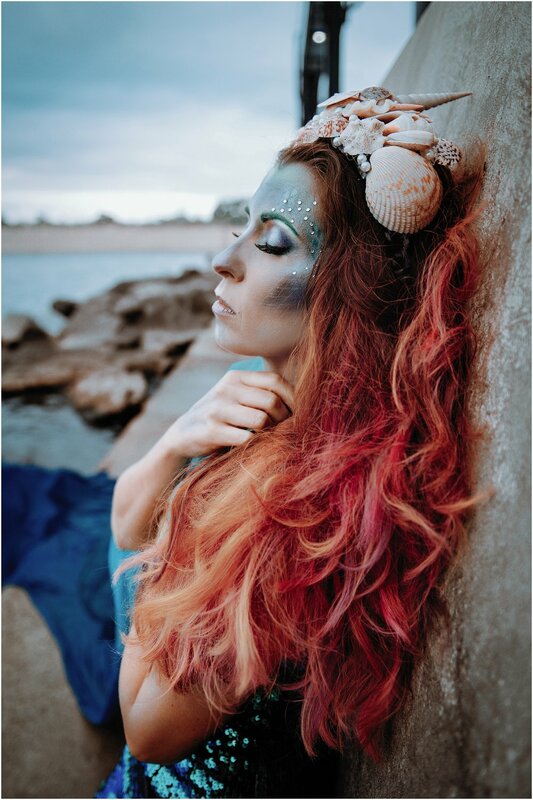 We think every little girl at some point has pretended to be a mermaid; a beautiful siren of the sea with shimmering scales. Whether you were in your bathtub, swimming pool or the beach, we bet at some point you pretended to be Daryl Hannah in Splash or the iconic Ariel, depending on your age. But before Disney's The Little Mermaid there was the much darker Hans Christian Andersen version, which is the one we both grew up with. There is a long list of movies and books that romanticize mermaids and sometimes tell darker versions. Stories of love and loss, displacement and longing and magical powers and enchanting, dangerous beauty. That kind of stuff appeals to our dramatic and whimsical side. 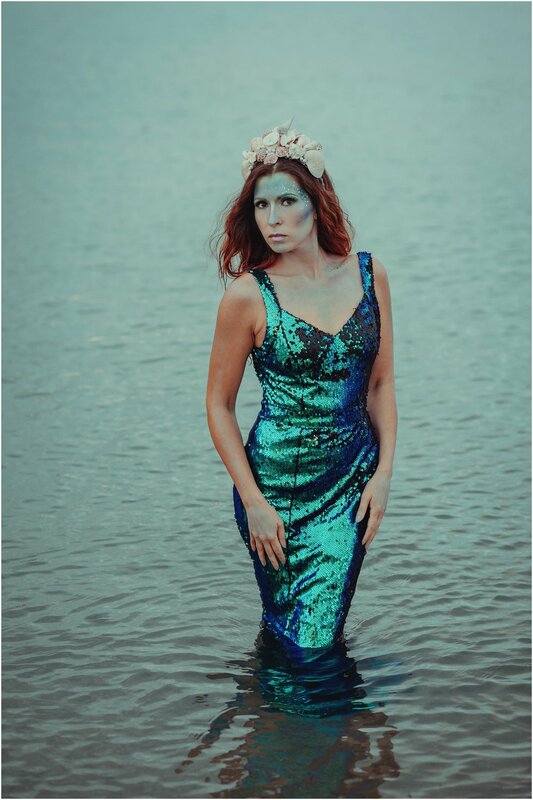 Over the years we've loved seeing other photographers interpretation of a mermaid or siren look. We are drawn to the other-wordly, beauties full of mystery and depth. 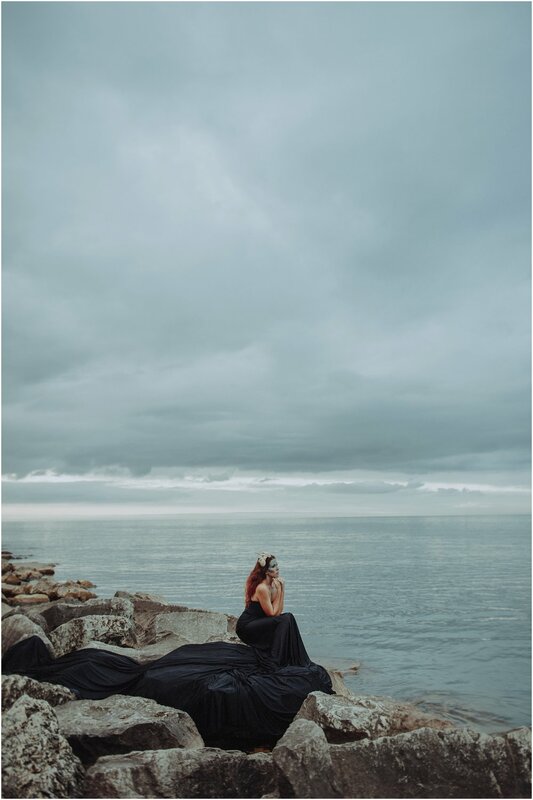 We had been planning a shoot like this for a long time. 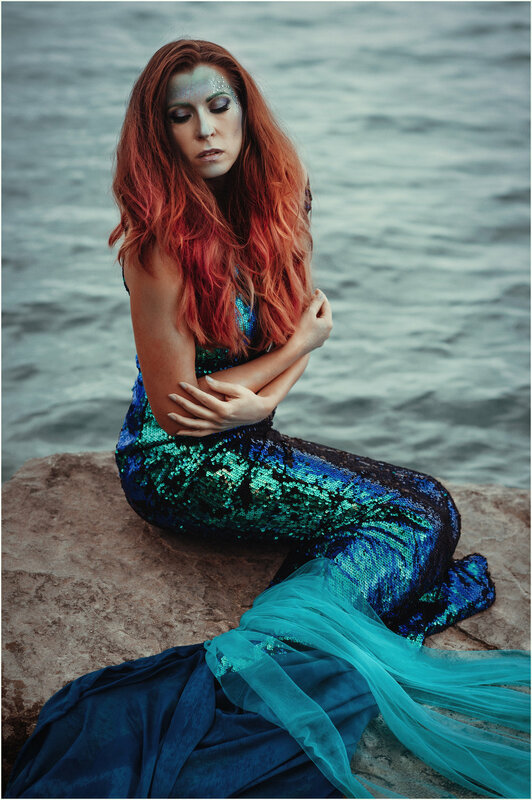 We knew we were leaning more toward an editorial version of what a mermaid could be, not too literal or costume-like. We also knew we wanted to work with the talented Make-up Artist Krissy Vanderwoude and when Carmen mentioned our idea to her, she was all in. 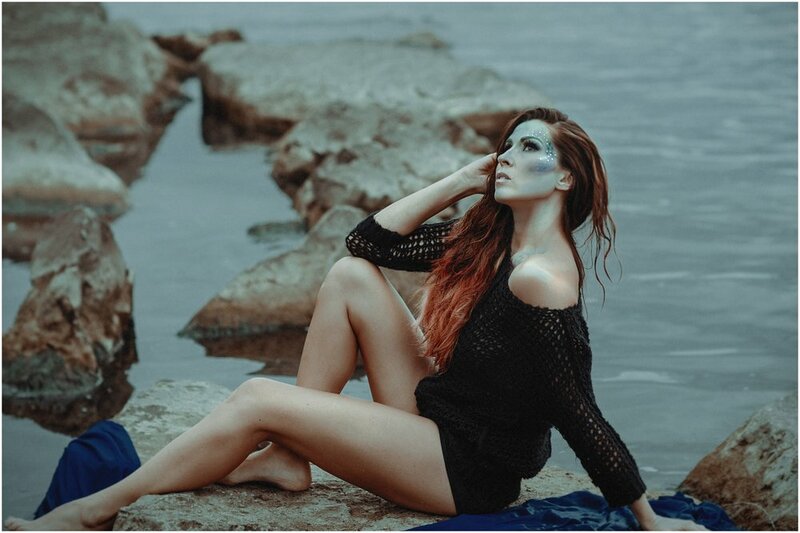 We explained our vision and gave her creative freedom to come up with a makeup that would tie it together. Once we had Krissy on board, it came down to deciding on how to style the shoot. Carmen found the sequin dress on sale and we knew we could make it work even though it was a bit short. We bought fabric to create the illusion of a tail and add drama. Jamie had been letting her hair grow for a while and colored it shades of red/pink. She made her own mermaid crown. It is comprised of sea shells that she had collected or bought at souvenir shops as a child on many of her family vacations to Florida. The shells were very sentimental to her but what a great way to actually use them. 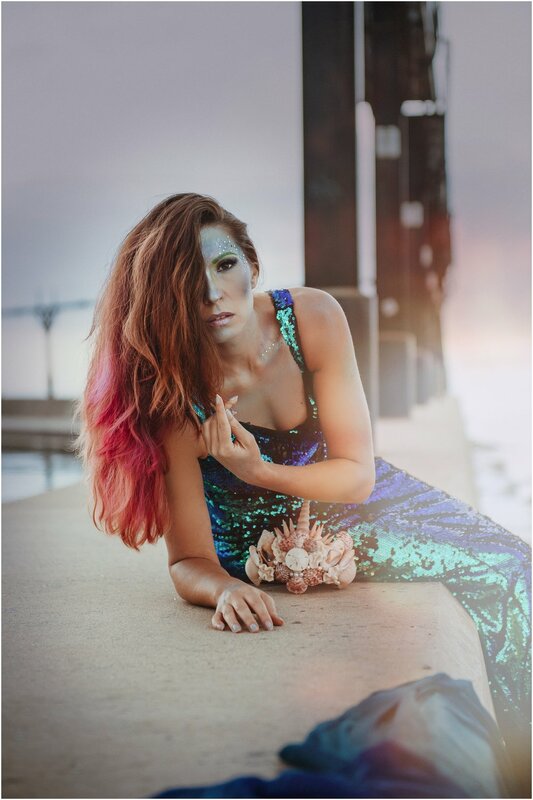 Jamie's always been obsessed with the ocean and shells and looking at the images she must be part MERMAID! Carmen is absolutely awesome with the way she shoots and retouches, so we knew all these little details were going to come together and be magic in the final images. A total (big) girls dream come true. A very special Thank You to Krissy Vanderwoude - we loved everything about Jamie's look! Onlookers were mesmerized and couldn't believe their eyes. Wow, Mermaids are real after all! 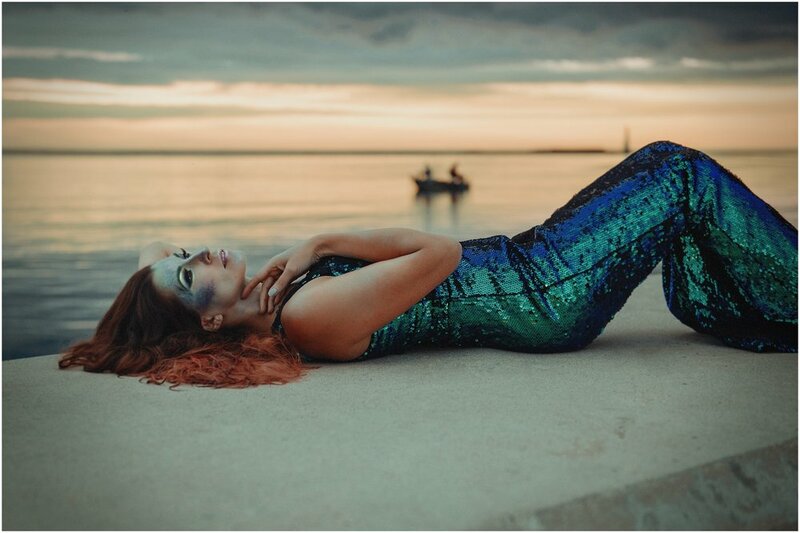 Fun Fact: Did you know you can actually get a job as a real mermaid? Just google it! Stephanie & Tyler's intimate Fall wedding | Happy 1 year Anniversary!